For all footie and chocolate fans, here is an ideal sweet treat. 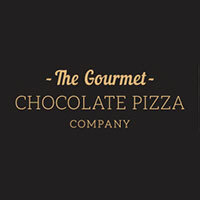 Presented in a pizza delivery box, surrounded in tissue paper, the Football Chocolate Pizza from The Gourmet Chocolate Pizza Company is such a fun gift and totally yummy! With a Belgian milk chocolate base covered with a handmade football plaque, milk and white chocolate coated rice balls blue chocolate drops and generously sprinkled with milk chocolate curls, what's not to love? There is even enough to share around with friends and family and makes the perfect gift for him or any chocolate lover.